Are you, or someone you care about, suffering from a respiratory disease like emphysema, lung cancer, or acute asthma? Does a lack of oxygen make it a struggle to complete even the simplest of daily tasks? Does it prevent you from working? Being unable to work can be very stressful for patients with respiratory diseases. You may have piles of medical bills and not be able to pay them without a paycheck. There is an option that may help you – you may be eligible for Social Security disability (SSD) benefits. But, with the state of the economy and the high unemployment rate, the Social Security Administration currently denies over three-quarters of initial applications. Hiring a lawyer could mean the difference between receiving SSD benefits or not. Remember, the Social Security Administration has certain guidelines for determining whether or not a person is "disabled." Millions of Americans have a type of lung disease, but SSD benefits are only available to those whose conditions are truly severe. If you fit one of more of these descriptions, you may qualify for SSD benefits. Before applying for SSD benefits, you should have an official diagnosis and see your physician regularly. You also should follow a prescribed treatment plan. It's critical that you follow your doctor's orders – not doing so could prevent you from qualifying for SSD benefits. When the Social Security Administration evaluates your application, they will review your medical records and look for information about the history and severity of your respiratory disease. Basically, the Social Security Administration wants to see proof that your respiratory disease and other complications prevent you from holding any type of full-time job. The Social Security Administration will also review your income and work history, as well as your age, education, etc. If you haven't worked enough – or recently enough – to qualify for SSD benefits, you may qualify for Supplemental Security Income (SSI). If the Social Security Administration denies your initial application, you have only 60 days to appeal. You can reapply after the deadline, but the SSD application process will start over again. 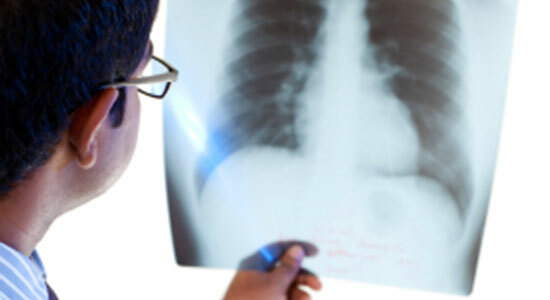 At Edgar Snyder & Associates, we've seen the ways patients with respiratory disease suffer. They don't just experience physical pain. They suffer mentally, emotionally, and financially as well. If you're dealing with a severe respiratory illness, the last thing you need is to worry about the complex Social Security disability system. Thousands of people suffering from physical disabilities and mental health disorders apply for SSD benefits every day. Because the Social Security Administration denies the majority of claims, hiring an experienced lawyer could mean the difference between collecting SSD benefits or not. If you want help applying for SSD benefits or the Social Security Administration denied your claim, you can trust Edgar Snyder & Associates to take care of the hassles and help get you the SSD benefits you need. When you hire our law firm, we treat you with respect. We answer your questions about SSD quickly, without the legal jargon. We take care of the confusing paperwork and guide you through the confusing disability claims process. The bottom line? We treat you the way you deserve to be treated. Best of all, if we don't get you SSD benefits – whether we help you apply or handle your appeal – you won't owe us a penny. There really is "never a fee unless we get money for you." If you, or someone you care about, are dealing with a severe respiratory disease and you want help applying for SSD benefits, or if your application was denied, contact us right away. Remember, you have only 60 days to file an appeal. Call 1-866-943-3427, or fill out our no obligation, free legal consultation form. Hiring an attorney may mean the difference between collecting SSD benefits or not. Trust our experienced attorneys to help get you the money you need.